Current Road Conditions: The snow melt is well on its way. The majority of the roads within the TFL at lower elevations are accessible. Graders are working on the Goat and Stillwater Mainlines. Use caution traveling on all roads within Stillwater’s Tree Farm Licence. Log Hauling: The Operational Information Map (see link below) indicates active haul routes which are maintained for harvesting and road building operations. For the Easter Long weekend there will be no log hauling on Friday the 19th. Log hauling will resume on Monday 22nd. The lower Stillwater area is accessed directly off of Highway 101. The Lois One Way Loop Map illustrates the one way haul roads and how to safely access the Tree Farm Licence. Road Closures: Seasonal road closures exist where WFP is currently not active. Fire Wood Cutting: Fire wood cutting permits are available at the WFP office located at #201 7373 Duncan Street, Powell River BC. Firewood cutting permits will not be available after April 30th, 2019. 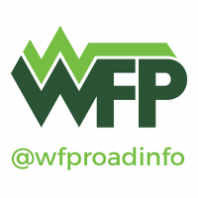 Check current road conditions on Twitter using @WFPRoadInfo and the #PowellRiver hashtag or the feed on this website. Cellphone service is very limited and unreliable on this road. Issues like flooding and heavy industrial activity could end or significantly slow down your trip. Follow the speed limit and go slower if you need to. Traveling at a high speeds on industrial roads puts everyone at risk and won't make a big difference to your overall travel time.